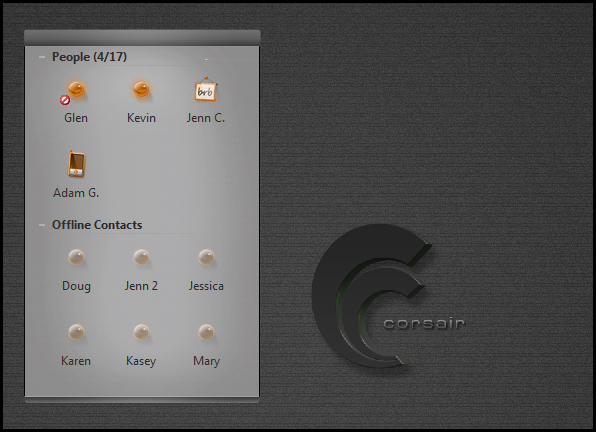 This trillian skin was made to go along with the beautiful windowblind "Corsair" by Essorant. All of the graphics were made by Essorant. I just implemented them into this trillian skin. Thanks to Essorant for the graphics and the excellent windowblind. It can be used along with any trillian skin. Just go to trillian preferences - skins - custom windows - Corsair to apply the skin. Your message windows will remain the same.